Dreaming of new beauty? Our Beauty Team is back and this month they have the crème de la crème of makeup, skincare and fragrances ready for you to discover. Choosing my first favourite this month was easy. Why? Well, because I haven’t stopped wearing it! That new release in question is the Giorgio Armani Si Nacre Edition. 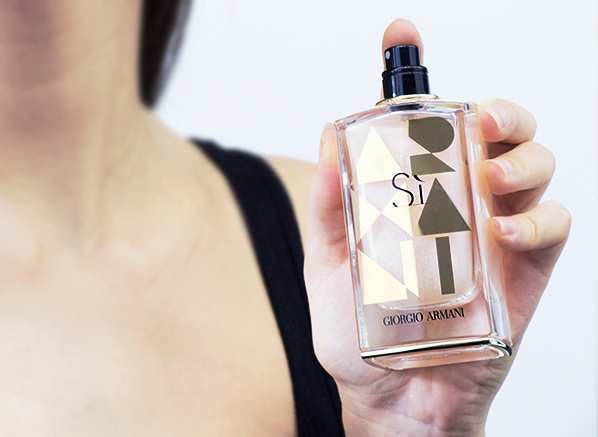 The Si Nacre Edition is a glitter-infused version of the original Si Eau de Parfum, which has been a staple in my fragrance collection for some time now. And, if you’ve never smelt it, it’s a chypre perfume, centred around elegant notes of jasmine, woods, amber and vanilla. All of which are my go-to notes when choosing a scent. And, although the Si aroma is amazing, it’s not the only reason it’s in my favourites this month. The other reason is sparkle and lots of it! This edition has been enhanced with flecks of beautiful shimmer that highlights your skin in every spritz. For evenings out, and when I just want to feel extra glamorous I’ve been spraying this over my decolletage, arms and well, everywhere – it’s so luxe and I am obsessed with it! I’ve been a fan of Urban Decay Naked Eyeshadow Palettes from the very beginning. I’ve stood in many queues, joined a multitude of waiting lists and can proudly say that I own nearly all of them. Yes, I’m a makeup addict through and through. So, it was inevitable that the Cherry Palette would peak my interest this month. Not just because I’m a die-hard Naked Palette fan but because it’s shade line-up is made for autumn/winter and that’s right up my street. As the name suggests, the Cherry Palette contains 12 cherry-inspired hues with everything from dusty roses and deep mauves to brown-plums. I can report that there’s nothing not to love about this palette. 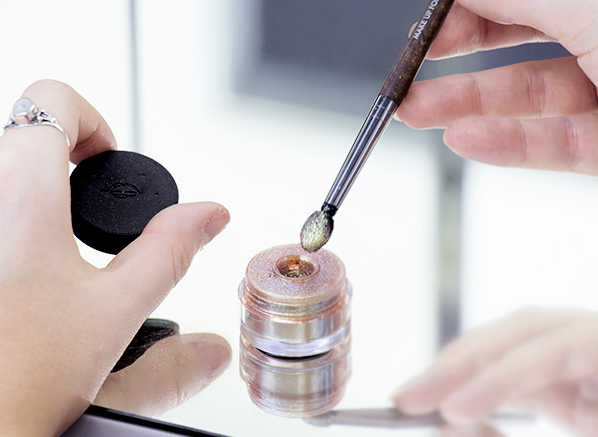 All the colours are intensely pigmented, easy to blend and wearable alone and all together. Great for day to day or intensified at night, it’s a great all-rounder and definitely ‘not just another Naked palette’. I’ve been waiting 6 months for the Vichy LiftActiv Micro Hyalu Patches and now they’re finally here and at ⅓ off until October 31st 2018, it’s safe to say, my month is pretty much made! 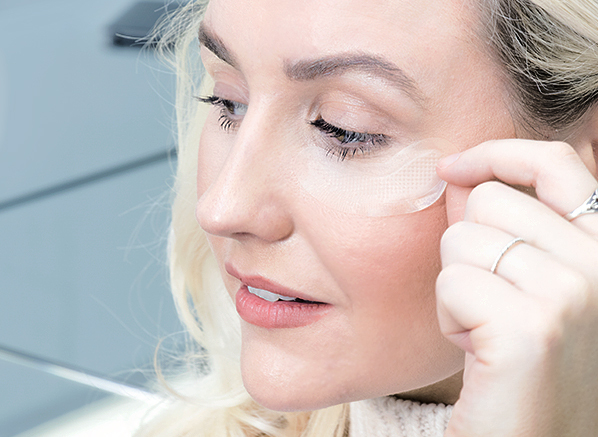 Inspired by the trendy micro-needling procedure, these pure hyaluronic acid eye patches (they contain 100% pure hydrolyzed hyaluronic acid) have tiny, delicate teeth designed to gently prick the skin, stimulating the production of collagen around the eye area for firmer, smoother results. Don’t get me wrong, going under the knife has never been something I’ve wanted to do, but I’m always intrigued when a product promises to deliver a non-surgical alternative, especially for the crepe paper lines around my eye area! After one night of trying these, I’m definitely impressed with the results so far. I woke to a more radiant eye area, my concealer didn’t crease and the lines around my eyes looked softer and diffused. To me, glitter isn’t for Christmas, it’s my ultimate makeup fixation all year round. Launching just in time for party season, the Star Lit Diamond Powder was sent from sparkle heaven. Ranging from icy silvers to rich champagnes and electric gold tones, each Star Lit Diamond Powder is made from 99.9% pure mother of pearl with an added intrigue of a mutational shift. Glitter lovers will know just how magical this looks when caught by the light! Every day this week, I’ve been wearing a touch of 109 Golden on my lids with just a slick of mascara and I love how understated it looks. The bronzey-green hue instantly makes my eyes pop, so I don’t have to do much else! 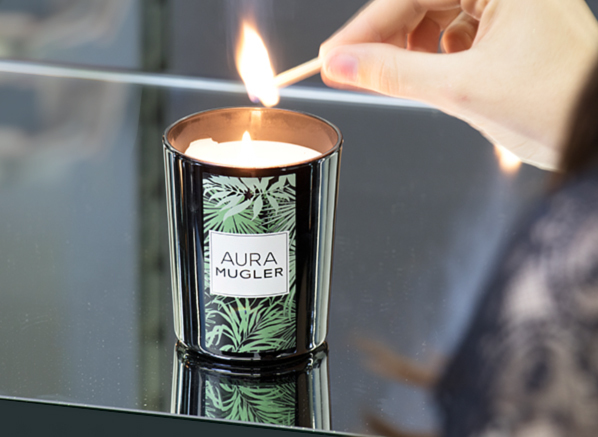 When the mesmerising MUGLER Aura fragrance has your attention, you’re pretty much lost to its charms. Is it the the smoky-sweet tiger liana that’s completely beguiling, or the deliciously creamy bourbon vanilla together with the earthiness of iris? You can’t put your finger on just why it’s just so darn good, you just know that it’s tropical, plush and a little wild, and there’s nothing else that smells quite like it. This candle is an excellent way to experience the vivid botanical oriental scent, with its generously scented wax and beautiful leaf-pattern tumbler that will create a gorgeous focal point in any room you pop it into. If you’re looking for some inspiration, light this generously scented candle and let your imagination run free. Bath time will never be the same again. Roger & Gallet’s beautiful Extrait de Cologne collection has grown by two new fragrances this month; the first is a sugared take on rose called Rose Mignonnerie, and the second is Magnolia Folie, a bright and fanciful floral celebration that is thoroughly uplifting. You might have sampled magnolia fragrances in the past and come away from the experience thinking that they’re too heavy or overly floral. Not so with Magnolia Folie! The Extrait de Cologne is fresh and energising, with notes of jasmine, orange flower and magnolia joined by a sweet kiss of cassis bud, before a base of woods creates depth and longevity. It has a sensuous undertone that calls to mind the unique scent of creamy flowers at sunset. Magnolia Folie is subtly sunkissed, happy and a complete joy to wear, making it’s the perfect antidote to those autumn/winter transition blues. This entry was posted on Tuesday, October 30th, 2018 at 1:16 pm and is filed under Fragrance, French Pharmacy, Make-up, Monthly Favourites, Skincare, Tried & Tested. You can follow any responses to this entry through the RSS 2.0 feed. You can skip to the end and leave a response. Pinging is currently not allowed.